Today Apple held its first major product unveiling of the post-Jobs era. 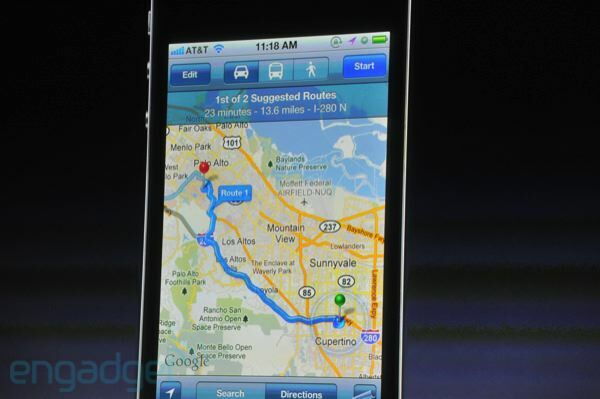 As guessed by many, it introduced not an iPhone 5, but an iPhone 4.5 of sorts. 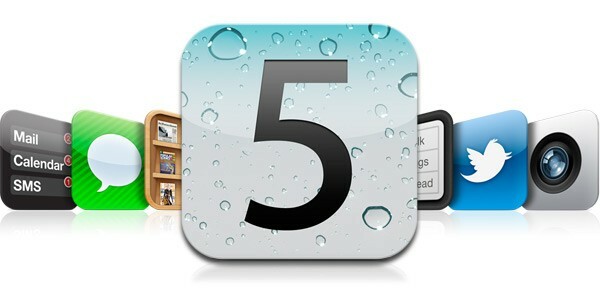 It’s the 4S, similar to Apple’s jump from the iPhone 3G to the 3GS a few years ago. In a nutshell, this means that the body is the same as the iPhone 4 but has a completely revamped list of hardware features. These include a faster processer (A5) and a new 8-megapixel camera that shoots video in 1080P. These are not insignificant upgrades. There’s also a new line of iPods, iCloud, “over the air” iOS updates, “world phone” (multi-carrier) support, Twitter integration, iMessage and lots of other things that in my mind make up for the lack of a full-fledged iPhone hardware refresh. But what stuck out most for me is the deep integration of voice search in iOS 5 — something we forecast in our 2011 predictions report (and here). 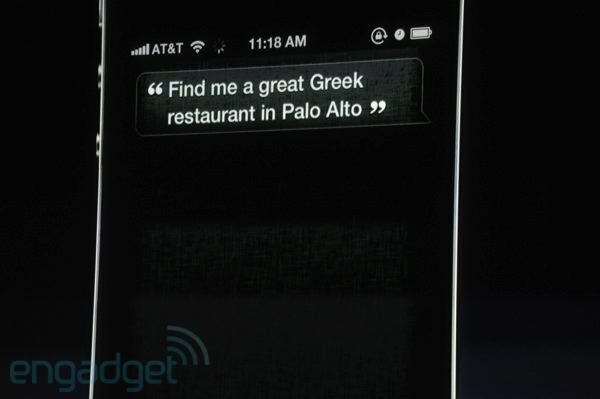 This of course builds on Apple’s acquisition of voice search innovator Siri, and shares the same name. 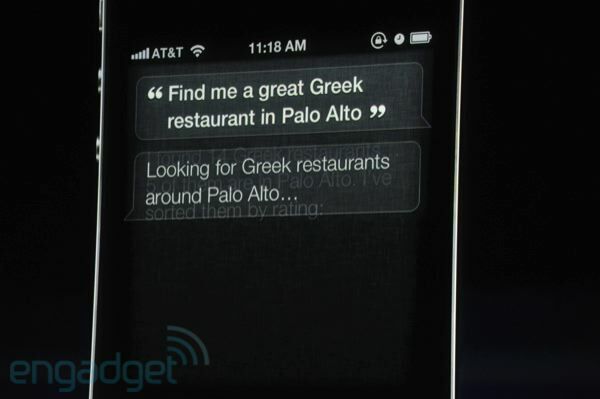 Siri’s deep integration with the operating system essentially means it’s an uber voice search app. In other words, it ties in with all kinds of native capabilities and apps such as calendaring, SMS, alerts, browser and mapping. The latter is notable in terms of local. A few examples were given such as navigation and looking for a local restaurant (tied in with Yelp listings). 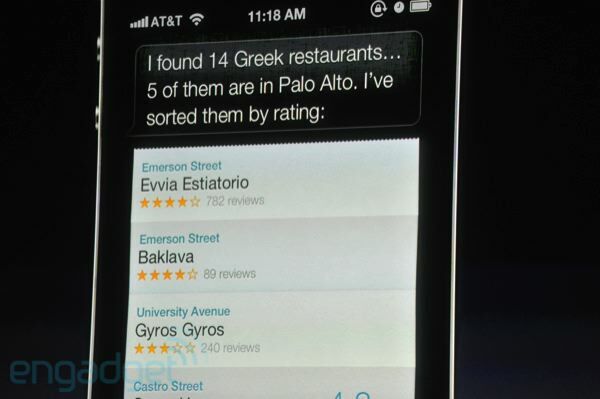 This will be a boon for local search as we’ve argued, and will open up lots of innovation, as Apple tends to do. That will be a function of voice search being baked into the SDK for third-party app development. That doesn’t appear to be the case now (I’m still investigating). When it does, voice search will really blossom, following the lead of the very cool things Apple has done naively in this release. The question is how well the technology will work in practice. Voice search challenges persist, including natural language processing, dialects and real world conditions (i.e., ambient noise, wind, etc.). Siri has some of the best voice processing chops though. We’ll trickle out lots more details and implications of today’s announcement in the coming hours and days. 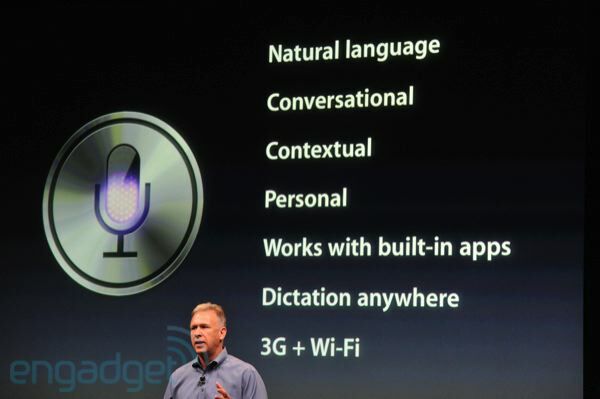 — Sunday Op-Ed: Apple/Siri — What’s It Mean?